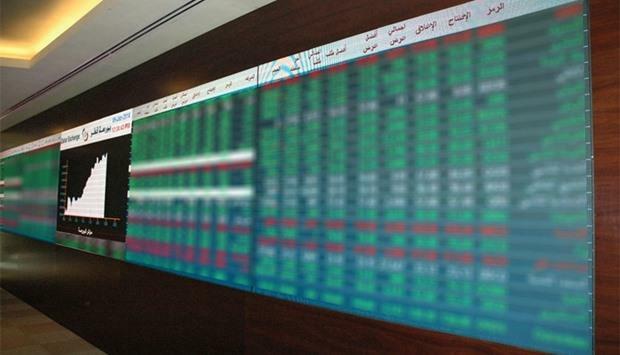 (MENAFN - Gulf Times) The Qatar Stock Exchange on Monday lost a sizeable more than 140 points in its key index and about QR12bn in capitalisation, mainly owing to strong selling at the industrials and banking counters. Gulf individuals' bearish outlook also had its role in dampening the market, whose sensitive index is up mere 0.03% year-to-date. 'The market appears to be a difficult spot since the beginning of this year, an industry source said, highlighting that the previous year had seen a good run. Local individuals' net profit-booking grew substantially to QR27.86mn compared to QR5.04mn the previous day. Gulf institutions' net buying declined noticeably to QR1.71mn compared to QR2.9mn on February 10. Non-Qatari individuals' net buying weakened marginally to QR0.22mn against QR0.87mn the previous day. However, domestic institutions' net buying strengthened impressively to QR15.79mn compared to QR3.29mn on Sunday. The consumer goods sector's trade volume more than tripled to 0.38mn equities and value more than quadrupled to QR30.06mn on 24% increase in deals to 214. The transport sector's trade volume soared 46% to 0.19mn shares, value by 53% to QR5.45mn and deals by 18% to 141. The insurance sector's trade volume shot up 40% to 0.07mn stocks, value by 81% to QR8.13mn and deals by 83% to 86. The real estate sector's trade volume was up 3% to 1.48mn shares, value by 8% to QR27.06mn and transactions by 11% to 987. However, there was an 8% fall in the industrials sector's trade volume to 1.92mn equities but on a 45% jump in value to QR48.4mn and 24% in deals to 1,987.